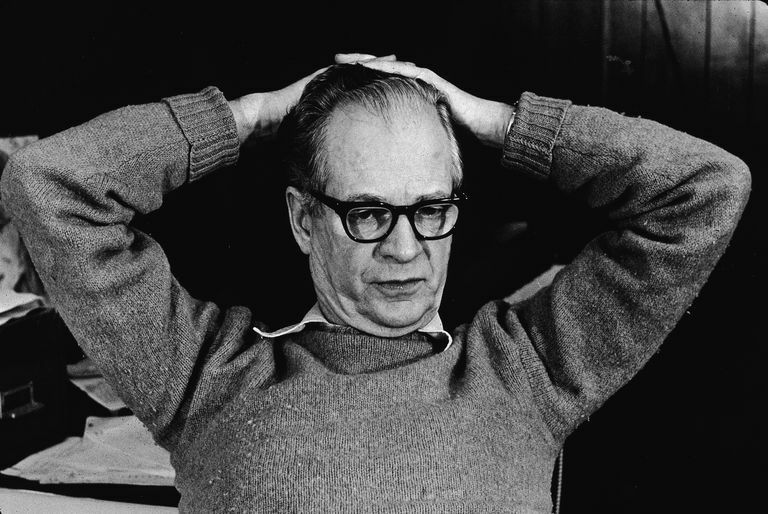 B. F. Skinner was an American psychologist best-known for his influence on behaviorism. Skinner referred to his own philosophy as 'radical behaviorism' and suggested that the concept of free will was simply an illusion. All human action, he instead believed, was the direct result of conditioning. Among his many discoveries, inventions, and accomplishments were the creation of the operant conditioning chamber (aka the Skinner Box), his research on schedules of reinforcement, the introduction of response rates as a dependent variable in research, and the creation of the cumulative recorder to track these response rates. In one survey, Skinner was named the most influential psychologist of the twentieth-century. Burrhus Frederic Skinner was born and raised in the small town of Susquehanna, Pennsylvania. His father was a lawyer and his mother a homemaker and he grew up with a brother who was two years his junior. He later described his Pennsylvania childhood as "warm and stable." As a boy, he enjoyed building and inventing things; a skill he would later use in his own psychological experiments. His younger brother Edward died at the age of 16 due to a cerebral hemorrhage. During high school, Skinner started to develop an interest in scientific reasoning from his extensive study of the works of Francis Bacon. He went on to receive a B.A. in English literature in 1926 from Hamilton College. After earning his undergraduate degree he decided to become a writer, a period of his life that he would later refer to as the "dark year." During this time he wrote only a few short newspaper articles and quickly grew disillusioned with his literary talents, despite receiving some encouragement and mentorship from the famed poet Robert Frost. While working as a clerk at a bookstore, Skinner happened upon the works of Pavlov and Watson, which became a turning point in his life and career. Inspired by these works, Skinner decided to abandon his career as a novelist and entered the psychology graduate program at Harvard University. After receiving his PhD from Harvard in 1931, Skinner continued to work at the university for the next five years thanks to a fellowship. During this period of time, he continued his research on operant behavior and operant conditioning. He married Yvonne Blue in 1936, and the couple went on to have two daughters, Julie and Deborah. During his time at Harvard, Skinner became interested in studying human behavior in an objective and scientific way. He developed what he referred to as an operant conditioning apparatus, which later become known as a "Skinner box." The device was a chamber that contained a bar or key that an animal could press in order to receive food, water, or some other form of reinforcement. It was during this time at Harvard that he also invented the cumulative recorder, a device that recorded responses as a sloped line. By looking at the slope of the line, which indicated the rate of response, Skinner was able to see that response rates depended upon what happened after the animal pressed the bar. That is, higher response rates followed rewards while lower response rates followed a lack of rewards. The device also allowed Skinner to see that the schedule of reinforcement that was used also influenced the rate of response. Using this device, he found that behavior did not depend on the preceding stimulus as Watson and Pavlov maintained. Instead, Skinner found that behaviors were dependent on what happens after the response. Skinner called this operant behavior. Skinner took a teaching position at the University of Minnesota following his marriage. While teaching at the University of Minnesota and during the height of World War II, Skinner became interested in helping with the war effort. He received funding for a project that involved training pigeons to guide bombs since no missile guidance systems existed at the time. In "Project Pigeon," as it was called, pigeons were placed in the nose cone of a missile and were trained to peck at a target that would then direct the missile toward the intended target. The project never came to fruition, since the development of radar was also underway, although Skinner had considerable success working with the pigeons. While the project was eventually canceled, it did lead to some interesting findings and Skinner was even able to teach the pigeons to play ping-pong. In 1943, B.F. Skinner also invented the "baby tender" at the request of his wife. It is important to note that the baby tender is not the same as the "Skinner box," which was used in Skinner's experimental research. He created the enclosed heated crib with a plexiglass window in response to his wife's request for a safer alternative to traditional cribs. Ladies Home Journal printed an article on the crib with the title "Baby in a Box," contributing in part to some misunderstanding over the crib's intended use. A later incident also led to further misunderstandings over Skinner's baby crib. In her 2004 book Opening Skinner's Box: Great Psychology Experiments of the Twentieth Century, author Lauren Slater mentioned the oft-cited rumor that the baby tender was actually used as an experimental device. The rumors were that Skinner's daughter had served as a subject and that she had committed suicide as a result. Slater's book pointed out that this was nothing more than a rumor, but a later review of the book mistakenly stated that her book supported the claims. This led to an angry and passionate rebuttal of the rumors by Skinner's very much alive and well daughter Deborah. In 1945, Skinner moved to Bloomington, Indiana and became Psychology Department Chair and the University of Indiana. In 1948, he joined the psychology department at Harvard University where he remained for the rest of his life. In Skinner's operant conditioning process, an operant referred to any behavior that acts on the environment and leads to consequences. He contrasted operant behaviors (the actions under our control) with respondent behaviors, which he described as anything that occurs reflexively or automatically such as jerking your finger back when you accidentally touch a hot pan. Skinner identified reinforcement as any event that strengthens the behavior it follows. The two types of reinforcement he identified were positive reinforcement (favorable outcomes such as reward or praise) and negative reinforcement (the removal of unfavorable outcomes). Punishment can also play an important role in the operant conditioning process. According to Skinner, punishment is the application of an adverse outcome that decreases or weakens the behavior it follows. Positive punishment involves presenting an unfavorable outcome (prison, spanking, scolding) while negative punishment involves removing a favorable outcome following a behavior (taking away a favorite toy, getting grounded). Skinner also developed an interest in education and teaching after attending his daughter math class in 1953. Skinner noted that none of the students received any sort of immediate feedback on their performance. Some students struggled and were unable to complete the problems while others finished quickly but really didn't learn anything new. Instead, Skinner believed that the best approach would be to create some sort of device that would shape behavior, offering incremental feedback until a desired response was achieved. He started by developing a math teaching machine that offered immediate feedback after each problem. However, this initial device did not actually teach new skills. Eventually, he was able to develop a machine that delivered incremental feedback and presented material in a series of small steps until students acquired new skills, a process known as programmed instruction. Skinner later published a collection of his writings on teaching and education titled The Technology of Teaching. Skinner's research and writing quickly made him one of the leaders of the behaviorist movement in psychology and his work contributed immensely to the development of experimental psychology. Drawing on his former literary career, Skinner also used fiction to present many of his theoretical ideas. In his 1948 book Walden Two, Skinner described a fictional utopian society in which people were trained to become ideal citizens through the use of operant conditioning. His 1971 book Beyond Freedom and Dignity also made him a lightning rod for controversy since his work seemed to imply that humans did not truly possess free will. His 1974 book About Behaviorism was written in part to dispel many of the rumors about his theories and research. In his later years, Skinner continued to write about his life and his theories. He was diagnosed with leukemia in 1989. Just eight days before he died, Skinner was given a lifetime achievement award by the American Psychological Association and he delivered a 15-minute talk to a crowded auditorium when he accepted the award. He died on August 18, 1990. Skinner, B. F. (1935) Two types of conditioned reflex and a pseudo type Journal of General Psychology, 12, 66-77. Skinner, B. F. (1938) 'Superstition’ in the pigeon Journal of Experimental Psychology, 38, 168-172. Skinner, B. F. (1950) Are theories of learning necessary? Psychological Review, 57, 193-216. Skinner, B. F. (1989) The Origins of Cognitive Thought Recent Issues in the Analysis of Behavior, Merrill Publishing Company. Skinner was a prolific author, publishing nearly 200 articles and more than 20 books. In a 2002 survey of psychologists, he was identified as the most influential 20th-century psychologist. While behaviorism is no longer a dominant school of thought, his work in operant conditioning remains vital today. Mental health professionals often utilize operant techniques when working with clients, teachers frequently use reinforcement and punishment to shape behavior in the classroom, and animal trainers rely heavily on these techniques to train dogs and other animals. Skinner's remarkable legacy has left both a lasting mark on psychology and numerous other fields ranging from philosophy to education. Burrhus Frederic Skinner. (2014). Retrieved from http://www.biography.com/people/bf-skinner-9485671. Bjork, D. W. (1997). B.F. Skinner: A Life. Washington, D.C.: American Psychological Association. Slater, L. (2004) Opening Skinner's Box: Great Psychological Experiments of the Twentieth Century. London: Bloomsbury. Skinner, B. F. (1938). The Behavior of Organisms: An Experimental Analysis. Cambridge, Massachusetts: B.F. Skinner Foundation. Skinner, B. F. (1961). Why we need teaching machines. Harvard Educational Review, 31, 377–398.